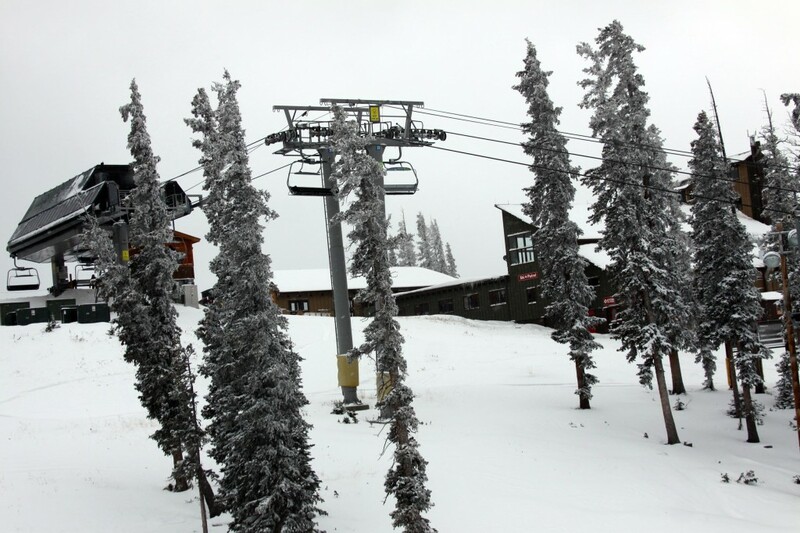 Friday marked the beginning of the 13/14 season at Keystone Resort! 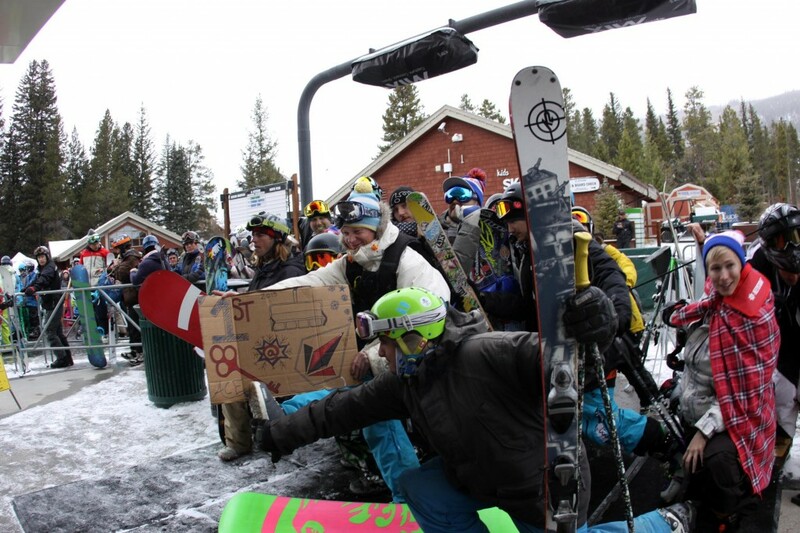 Over 200 people lined up before the gondola opened for a chance at winning a new Never Summer Snowboard, GoPro Hero 3 camera, Starbucks gifts, Nature Valley bars and more prizes. 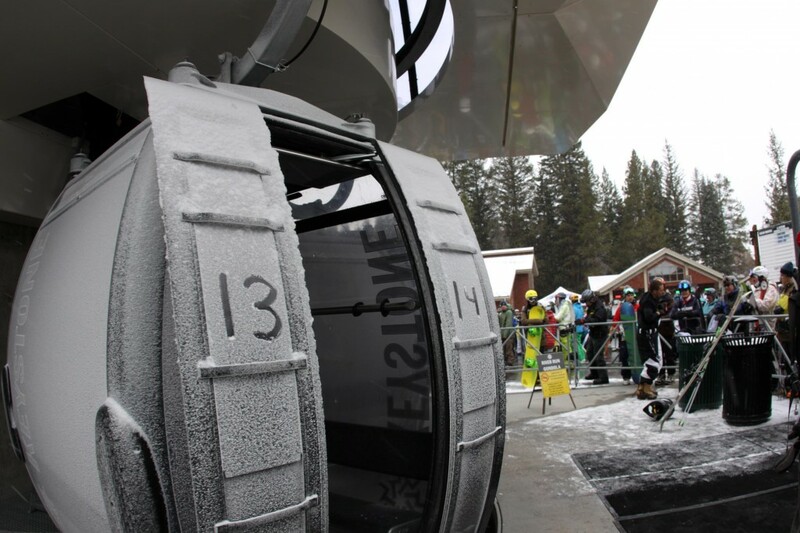 Skiers and snowboarders even slept overnight to get dibs on first gondola. With 4″ of new snow and great skiing/riding conditions, it was a great way to start the season. Timelaspse of the opening day lineup. What a great crowd. The first skiers and snowboarders stretching before they loaded the first gondola cabin. 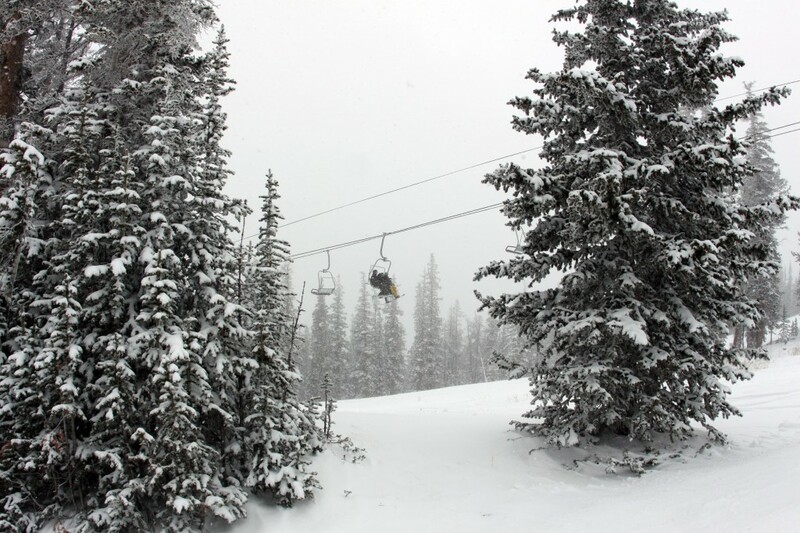 4″ of new snow marked the first day of the 13/14 season at Keystone. Once at the top of Dercum Mountain, it sure looked like winter conditions. 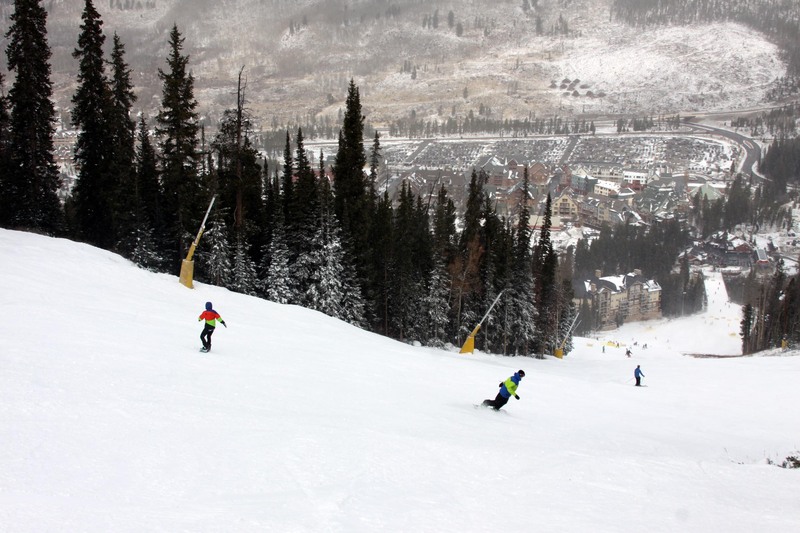 The chairlifts were packed with smiles, new snow and many turns down the mountain. 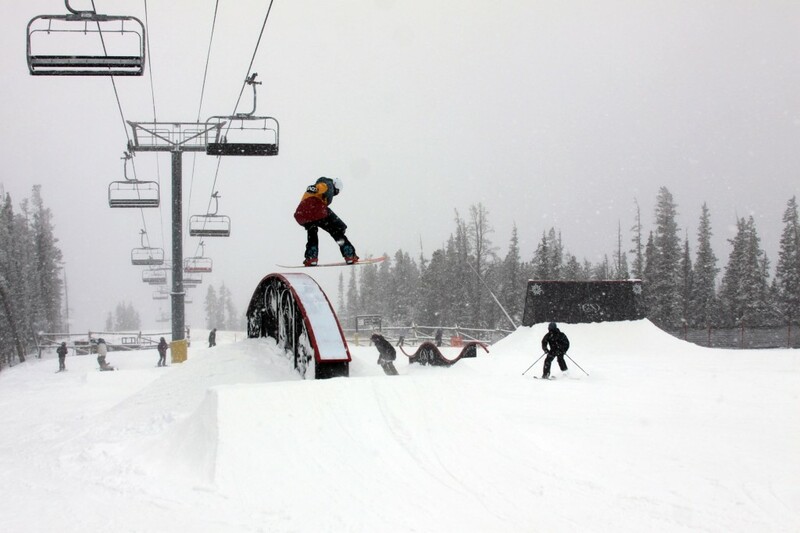 The Keystone A51 Terrain Park opened with 20+ features ranging from beginner to advanced features. Pros like Keri Herman, Asher Humphreys and Seth Hill were seen lapping the park to kick off their season on Vail Resorts Epic Team. Conditions on the mountain were amazing for the November 1 opening. Top to bottom skiing and riding on Spring Dipper and River Run trails let guests enjoy enough vertical to keep them lapping all day long. Opening Day Video – check it out!